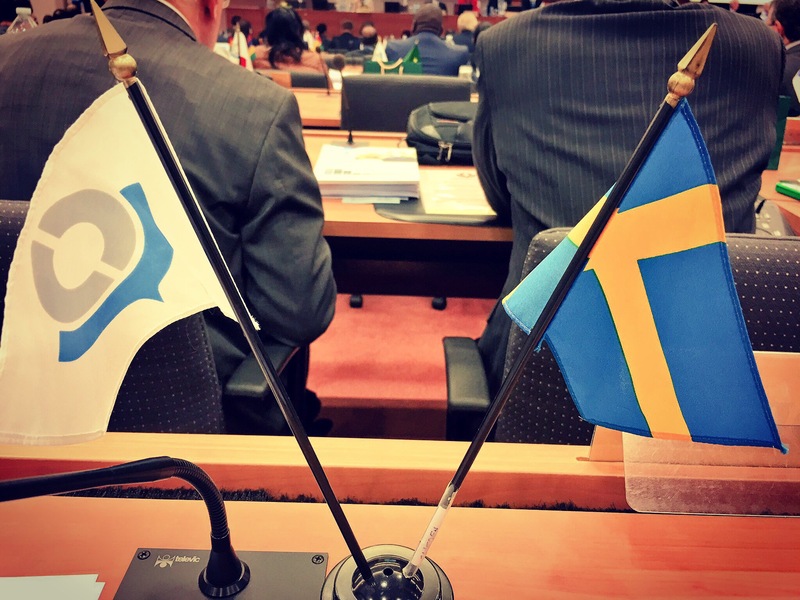 Today the annual general assembly, the Council Session 2016 of the World Customs Organization (WCO), has started. WCO is the international standard setting institution for Customs, borders, supply chain security and international trade. 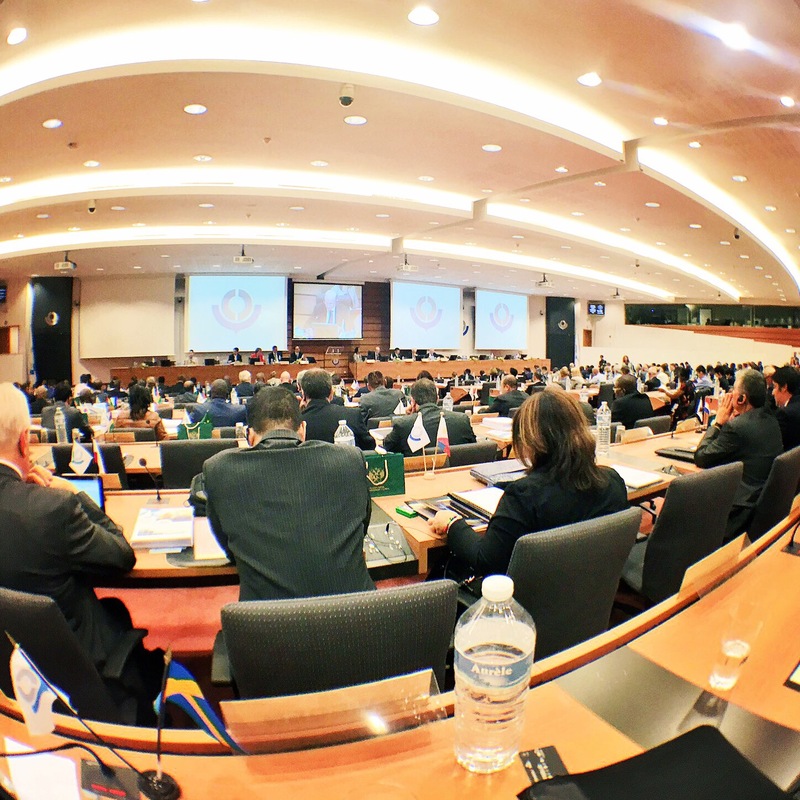 WCO:s 180 member countries meet in Brussels and more than 1000 people (approx. 600 officially for the meeting) dicuss and make decisions in relation to all the activities of the year and the plans for the future. This is a great week for all Customs officers and Government officials of this sector. There have been a number of meetings already, starting with the Policy Commission and the Private Sector Consultative Group. I have had a number of bilateral meetings already and it is great to meet so many friends and people from the world that I have known my entire adult life. I am a customs officer, I have always been a Customs officer and I will always be a Customs officer. This is my environment. I love it. I will be interesting three days. What do you see when you look at Africa? John-Paul Iwuoha has written an interesting article about the opportunities of Africa. You can read the article ere below. I think that the author offers an interesting perspective from many perspectives. I have visited all African countries and I have often been thinking the same thing. The opportunities aee enormous, but are people doing the right thing in the right order? I have a theory about capacity building, based on twenty years of experience working with reform and development in more than 120 countries, that sequence is the key to implementation success. It is vital to know what to do – but it is even more important to know in what order to do it. So if we do one thing, that seems to be the most prioritized need, like supporting local business, it doesn’t do any good if the entrepreneur can’t move the product or service to the market – where the people are. We are also always copying successful business ideas from other places trying to implement them elseware according tomarket strategy scalability patterns. When the new market need totally different things. It just doesn’t work. One good idea can always be an inspire and best practice but any new solution has to be adjusted to the local environment. This becomes even more evident when talking about international trade where speed and predictability are the makers of success. This is the real challenge for African trade, and we all know it since decades. It is time to do something about it. It is time to make it work. Every morning in Africa, a lion wakes up. It knows it must outrun the slowest gazelle or it would starve to death. Do you still see problems or lucrative and untapped opportunities? Africa is full and overflowing with amazing potentials for people like you to make money. The challenge is that most of these opportunities are buried inside tough and challenging problems. Some see a continent that is full of problems – unemployment, disease, hunger and insecurity – a place where everything is wrong and nothing works. Some others see a land of vast opportunities and untapped potential. Optimists like to describe Africa as the “world’s last frontier” of lucrative business opportunities. While the ignorant and fearful see a dark and unpromising continent, smart entrepreneurs see the amazing business opportunities that lie beneath all of Africa’s problems. Looking for serious problems and thinking of interesting and innovative ways to solve them is one of the most effective methods of finding high-potential business ideas. Problems are blessings in disguise and every successful entrepreneur knows this secret. The most lucrative opportunities in Africa are not in its crude oil, precious stones or timber. No. Africa’s biggest jackpot lies in finding solutions to many of its serious and pressing problems. Anyone who can solve the problems you’re about to read stands the chance of making money in Africa. This article looks at eight serious problems in Africa that hold lucrative business opportunities and will make money for entrepreneurs who can unlock them. Hunger is one of Africa’s biggest and most serious problems. Images of hungry and starving African children often make the headlines in mainstream media and have come to represent the face of our continent. Despite having more than 60 percent of the world’s uncultivated arable land, a conducive climate for agriculture, and an overwhelmingly young population (more than 60% of the African population is under 25 years old), millions of people on our continent still go hungry. Presently, Africa does not produce enough food to feed itself and has remained a net importer of food. With one of the world’s fastest growing populations, many African countries spend billions of dollars every year importing basic food products to meet local demand and consumption. Our continent’s population (currently at just over one billion) is projected to rise to 2.3 billion over the next 30 years. With all these mouths to feed, agribusiness is more than likely to become a booming industry in Africa’s future. There are several reasons for the serious hunger problem on our continent. Apart from hunger which is induced by conflicts and natural disasters (like drought and floods), Africa’s failing agriculture industry is arguably the root cause of hunger on the continent. Agriculture, which used to be a booming and attractive industry, has been abandoned for white-collar jobs in the cities. At the current migration rate, more Africans will live in cities than in rural areas by 2050. With decreasing interest from ordinary people and low investments from both the business community and governments, the current state of Africa’s agriculture industry makes it unable to produce the amount of food needed to feed a large and fast growing population. There are several lucrative opportunities for entrepreneurs who start businesses, no matter how small, that help to solve the hunger problem in Africa. The high demand for food staples is leading to interesting opportunities in vegetable farming,cassava farming, livestock farming (fish, chicken, pigs, ostrich, snails). There is also a huge potential for businesses like animal feed production that support the livestock industry. Food is a basic need and a matter of survival. It’s boom time for food businesses. You can hardly ever go wrong with food in Africa! With one of the world’s youngest populations, Africa’s large and growing pool of unemployed labour is one of its biggest problems. Young people, many of who are physically and mentally capable, cannot find the jobs they need to earn a decent income for their upkeep and basic survival. Depending on whose figures you’re looking at, the unemployement rate on our continent is huge (up to 50 percent). Since jobs must exist before people can be employed, does it mean that there are no jobs in Africa? Of course not! In fact, Africa’s economy has been growing steadily for over a decade and six of the ten fastest growing economies in the world are in Africa. A growing economy is often a clear sign that more jobs are being created. However, the main problem with the job market in Africa is that it is largely disorganized. It is quite difficult for businesses and employers to find potential employees with the right skills, education and experience for the positions they want to fill. To a considerable part, Africa’s unemployment problem has to do with information sharing rather than total unavailability of jobs. Several smart Africans are already rising to the challenge of solving our continent’s unemployment problems. In Nigeria, Jobberman.com, which was started by three university undergrads in 2009, has become Nigeria’s Number 1 job search and recruitment portal. In a country where more than 40 million able-bodied people are unemployed, Jobberman is helping millions of people get a job by connecting vacancies with the right candidates; saving recruitment costs for businesses. 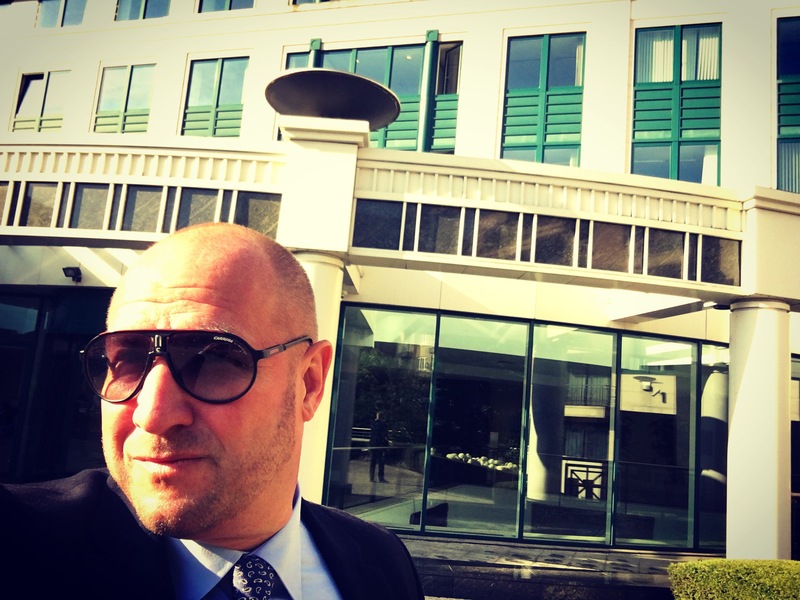 Seeing the huge potentials in this business model, Tiger Global, a New-York based fund with investments in Facebook and LinkedIn became an investor in Jobberman.com in 2011… a little less than three years after it started! The service now has a subsidiary in Ghana and plans to roll out across Africa in the near future. Apart from providing critical information services that help employers and potential employees to find each other, there is also another angle to the unemployment problem in Africa – unemployability. Many of the people looking for jobs on our continent do not have the required education, training, skills and experience that make them desirable for employment. Businesses and entrepreneurs who can offer solutions to this problem in the form of skill acquisition programs, education and training are very likely to enjoy huge benefits. While Africa is home to about 15 percent of the world’s population, Africa alone accounts for nearly 24 percent of all diseases that occur in the world. Apart from poor access to essential medicines and vaccines, low quality healthcare, malnutrition, and poverty, our continent’s tropical (warm) climate favours the breeding of disease vectors (especially mosquitoes which cause malaria). In addition to these factors, the rise of chronic diseases like heart attacks, cancer, respiratory diseases and diabetes is causing more deaths in Africa every year. According to a recent WHO Report, infectious diseases are the leading causes of sickness and death in developing regions like Africa. Of these infectious diseases, malaria, HIV/AIDS, pneumonia, tuberculosis, diarrhoeal diseases, and measles make up more than 90 percent of over 10 million disease-related deaths that occur in Africa every year. Most of these diseases can be treated with the right drugs. Africa’s serious disease problem has led to a huge and rapidly growing demand for drugs, medicines and other pharmaceutical products. The size of Africa’s pharmaceutical market is expected to reach nearly $45 billion by the year 2020 and entrepreneurs like Uganda’s Emmanuel Katongole are already taking advantage of this huge opportunity. Malaria, for example is estimated to cost countries such as Nigeria and the Democratic Republic of Congo up to 1.3% of their GDP, according to the Malaria Consortium. That’s why Faso Soap, the brainchild of two ingenious African entrepreneurs has got me very excited! Comprised of shea butter, lemongrass, African marigold and other natural resources that are plentiful across Africa, this soap is designed to leave an insect-repelling odour on the user’s skin after bathing. It could be used to prevent against a wide range of mosquito-transmitted conditions — perhaps eventually even Zika. And this is why I believe over the next few decades, both giant drug manufacturing companies (inside and outside Africa) and healthcare-focused entrepreneurs will reap huge benefits while they help to fight and reduce Africa’s disease burden. The standard of education in many parts of our continent has deteriorated terribly. Poor access to quality education at all levels – from basic primary education to university – is another serious and nagging problem across Africa. The poor quality of government education and low investment in the education sector has put it in a state of crisis in many African countries. Because many Africans understand that education is one of the few bridges out of poverty, millions of poor families on the continent are desperate to find good schools for their children. However, the existing schools and training facilities are unaffordable for many people and are not even enough to cater to the needs of Africa’s large and rapidly growing population. To solve the problem of inadequate opportunities for affordable quality education (especially for children from poor homes), some entrepreneurs on our continent have come up with interesting solutions. Omega Schools, based in Ghana, is a chain of low-cost private schools that offers basic primary education to children in poor families for an incredibly low and affordable fee (less than $1 a day per student). Bridge International Schools in Kenya uses a similar low-cost model to provide affordable education to thousands of children in East Africa for less than $5 per month per student. Before these amazing businesses started, it was thought impossible to educate poor people at a profit. Some people say that if you look at the African continent from outer space at night, it looks empty and pitch black. Maybe this is why the rest of the world refers to Africa as the ‘dark continent’. The poor supply of electricity to support everyday needs like lighting up bulbs, pumping water and charging mobile phone batteries is a big and very serious problem in many parts of Africa. In many countries on the continent, less than 20 percent of the population have access to electricity; the situation is much worse in rural areas where fewer than 5 percent are connected to the electric power grid. Electricity is such a serious problem for Africa that the growth and prosperity of its economy and the convenience of our daily lives depends on it. Did you know that all the 40+ countries of Sub-saharan Africa (except South Africa), with a combined population of more than 750 million people, generate roughly the same amount of electricity as Spain (a single country of less than 50 million people)? According to the WorldBank, Africa arguably has the worst electric power infrastructure in the world with the lowest scores in power generation, consumption and security of supply! Entrepreneurs like Tanzania’s Patrick Ngowi are seizing the lucrative opportunities in Africa’s electricity problems. By focusing on solar energy, which is freely and abundantly available in Africa, Patrick has brought electricity to thousands of homes in his country. To date, his company (Helvetic Solar Contractors), has installed more than 6,000 small rooftop solar systems in his country and four other East African countries – Kenya, Uganda, Rwanda and Burundi. And there are more ambitious entrepreneurs like him who are using the power of the sun to light up Africa. And here’s a list of the Top 10 Solar Businesses that are lighting up Africa! Africa is losing its natural beauty and environment to different forms of degradation especially solid waste pollution. As Africa becomes more urbanised and the spending power of the average African rises, more goods will be consumed leading to even more waste. The volume of waste generated on our continent is expected to double in the coming years as the size and population of its cities explode. Apart from the dirty and unsightly look that heaps of waste are giving to several cities across Africa, poor waste management is closely related to, and largely responsible for, the outbreak of diseases. In addition to its undesirable effects, the way we handle and treat our waste will play a very significant role in managing Africa’s natural resources in the future. Recycling waste (like kitchen waste, paper, plastic and metals) helps to reduce the pollution in our environment and provides jobs for thousands of people on our continent. To tackle the menace of plastic waste in Nairobi (the Kenyan capital), Lorna Rutto, a former banker decided to start a small plastic recycling business. Her business uses plastic waste collected from dumpsites and garbage cans across Nairobi to manufacture fencing posts. These posts, which are used to fence houses and forest reserves, are becoming a preferred alternative to timber. So far, her innovative business has created over 7,000 fencing posts, 500 new jobs, generated more than $150,000 in yearly revenues, saved over 250 acres of forests and removed more than 1,000 tonnes of plastic waste from the environment. Another interesting business that is solving the problem of waste disposal in Africa is DMT Mobile Toilets in Lagos (Nigeria) – one of Africa’s most populated cities. In its bid to reduce the public disposal of human waste, this business provides affordable access to toilet facilities in public spaces (bus parks, events, etc) across Lagos. To date, this company has manufactured over 3,000 mobile private toilets. It produces over 200 units every month for sale and for hire across Nigeria and in the West Africa region. With millions of humans and goods that are moved around everyday across Africa, transportation has become central to the functioning of Africa’s economy and crucial to basic survival on our continent. With potholed roads, poor transport networks, absent rail lines and weak water transportation, the options for moving people and goods around on the continent are quite limited. Although the roads are bad, people and goods still need to move around. With a population that is growing faster than anywhere else on earth, transportation remains a problem of the present and future for Africa. In spite of its challenges, smart entrepreneurs are rising to the occasion to solve everyday transport needs for millions of Africans. Motorcycles, taxis, buses, trucks and ferries are some of the ways of tackling the transportation problem. After food, shelter is arguably the next most important necessity in our lives. Shelter in this regard refers to housing accommodation, office space and public buildings. The growing migration of Africans from rural to urban areas is putting a lot of pressure on available and affordable housing in cities and towns across the continent. Seeing the huge opportunities and potentials in our continent’s housing problem, it’s hardly any surprise that entrepreneurs like Nigeria’s Aliko Dangote, who is currently Africa’s richest man, has been making very significant investments in cement production, the most vital material in building construction. Individuals, businesses and governments are making huge investments in Africa’s real estate and infrastructure market. Smart entrepreneurs are buying up undeveloped land around major cities in a bid to build their own houses and possibly earn rental income from tenants who need shelter too. Other popular real estate investments are in office spaces and retail spaces; shops for traders. It’s the same with everything in life. It is the same with mining gold, diamonds or crude oil; there is usually a lot of hard and dirty work involved. Somebody has to dig or drill many metres into the belly of the earth to find these precious resources. It’s also the same thing with Africa’s problems. If you want to make money on our continent, you will need to roll up your sleeves and solve a serious problem. The tougher the problems you solve, the more money you are likely to make! This article is intended to open your eyes to the possibilities around you. Have you noticed a serious problem or suffering in your environment? John-Paul Iwuoha is an author, impact entrepreneur, business strategist, and founder of Smallstarter Africa. He works with entrepreneurs and investors to start up and grow businesses in Africa. He is also the co-author of 101 Ways To Make Money in Africa, the widely-acclaimed book which reveals several interesting business ideas, market opportunities, and inspiring entrepreneur success stories across Africa. Congratulations Portugal! Portugal won their first ever title yesterday when beating France 1-0 in the EuroCup 2016 final. France was the better team, more possession, more chances. France was the team that wanted to score. However, Portugal did a heroic game. They were under pressure most of the game and got their captaon and big dtar Christiano Ronaldo injured after only 14 minutes. We saw Christianos tears again. Just like in 2004 at home in Lissabon when Portugal was favourites to win the EuroCup title against Greece. That time Portugal lost 1-0. This time they won. The Portugal coach Fernando Santos outmanourered the French coach Didier Dechamp, and the Portugal goal keeper Rui Patricio was amazing all of the final. And it was all about CR7, Christiano Ronaldo. Even if he had to leave the game already early, he stayed on the sideline acting like a second coach, pushing his team mates the extra mile. 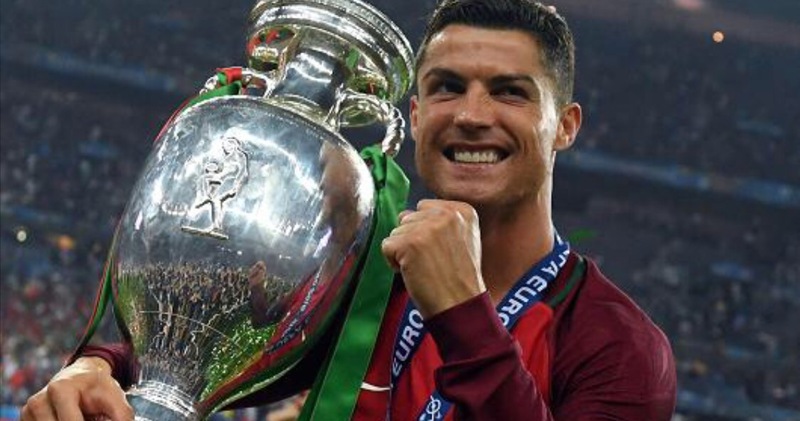 At the end of the day Ronaldo – by most people considered the best player in the world right now – finally got his trophy, a title for his national team under his years as a world class player and during two golden generations of Portugese players expected to win titles. 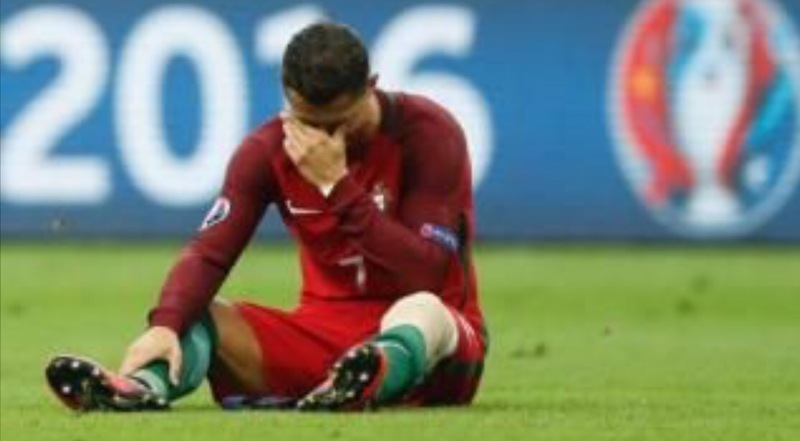 It was a happy ending for Portugal, even though I personally cheered for my second home country France. I felt sorry for the young French team playing and losing a final at home in Paris. Griezmann became top scorer, Untiti and Payet were both big players during the tournament and Lloris was one of the ebst goal keepers, Pogba is the future dtar – but the best player of the final (both teams included) was Sissoko. He did a fantastic game – and still lost. EuroCup 2016 is over. Now we wait for the World Cup in Russia 2018. We used to always see the poverty gap as the big gap in the world. This is still a huge issue, especially for the leadt developed countries (LDCs) and in years with draught and other disasters. However as proven by the Millenium Development Goals Agenda, it is possible today to address the issue of poverty and the world is getting better in this sense. It is possible to erase poverty. We are the generation that will do it. This is our priority. Having said this, we need to start acknowledging that there are new gaps emerging. One of the biggest challenges for the future is the digital divide – the lack of access to Internet and the opportunities given by the new netwroks and technolgies. While we know that there today are more people in the developing world with access to smart phones than to clean water, there is a huge part of the world population that are shut out from the most important communication platform ever know to mankind. These people are not only left out of the communities, social media, information flow, but more importantly they are without access to faster procesing, paperless effecient systems, information demands and requirements from the international supply chain and thus trade to new markets, new digital work opportunities, education, transparency, langauges, applications, software, democracy and freedom of speech on the internet and much more. This means that we have created new borders, new gaps and new divide. We need to realize that this is the case and learn from our past to overbridge this new gap. 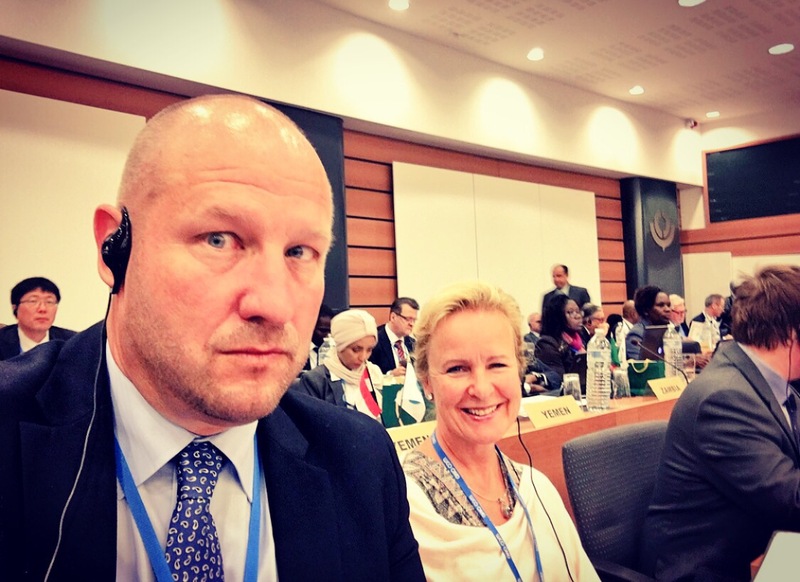 Sweden has suported a number of developing countries with aid for digital infrastructure. More countries need to do the same. 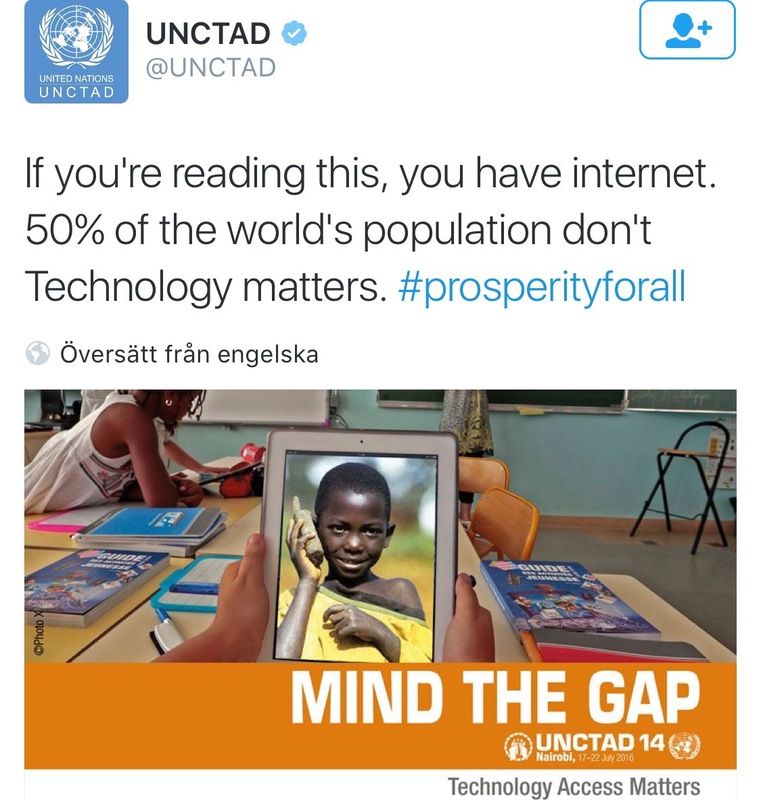 UNCTAD has acknowledged and started to address the issue of digital divide and the new digital infrastructure gap. This is a great initiative by UNCTAD and we need to ensure that other international institutions do the same. We should instead build bridges of inclusiveness. This is a benefit for all of us. We need a world that is fully connected to free the creativity of people to contribute to the greater good of our global village. The future is digital. Let’s make it a better and more inclusive future than the old world was. Tonight France and Portugal play the final of EuroCup 2016. Who will win? I think that it is very close. The teams have 50/50 opportunity – though France as the host maybe is a small favourite to win the title. It will be CR7 – Christiano Ronaldo vs Antoine Griezmann. It has been an interesting tournament, but maybe not the best tournement ever. There have been some great games, especially at the end of the tournament. We have seen smaller teams surprise their opponents with strong tactics and team efforts, like Wales (Galles) and Iceland. We have also seen great referees this time. 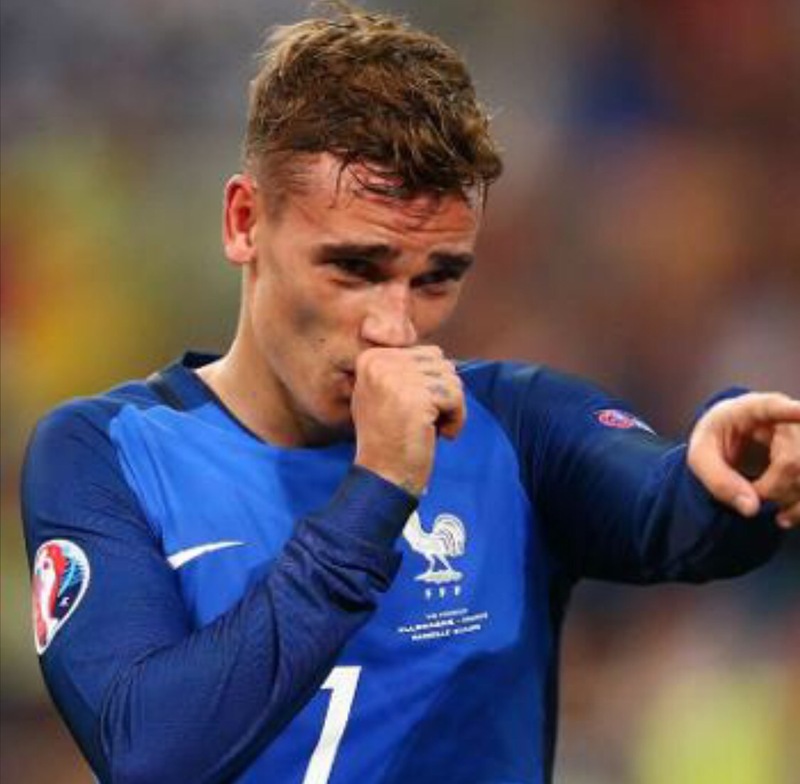 In addition a new superstar has been born, Antoine Griezmann of France. Griezmann has been fantastic, like his young team mates Pogba, Umtiti and Payet. In Portugal Renato Sanches has performed very well as the new star born this summer. I love football/soccer. I always have. It is for me the ‘beautiful game’ – joga bonito, as they say in Brazil. Some of you might know that I used to be an athlete playing sports in my youth. My sport was Olympic Team Handball. A very tough and physical in-doors game that is big on Europe. I was a good player, also playing internationally. I still enjoy watching this sport a lot, but I have always loved football. I did play also football on lower levels between handball seasons, but I didn’t have the same talent for football as for handball. 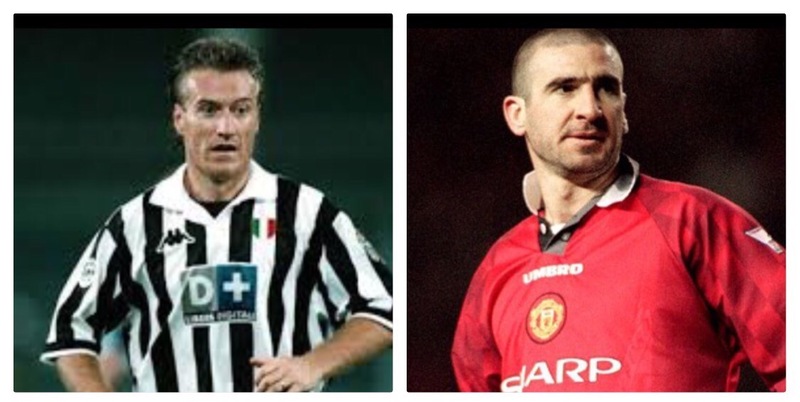 My favourite football players over time have always been the real characters and technical players, like Diego Amando Maradona, Eric Cantona and Zlatan Ibrahimovic. The players that can do the extra on the pitch, leaders and decisive players. However I have always also liked the defensive midfield player, maybe since this was my own position when playing football. This has always been a sort of controversial and non-attractive role in the team, the player that is there to protect the own team and destroy the chances for the opponents. A low key player of the team, making it possible for the stars to steal the headlines – the so called ‘water-carrier’. It was one of my heroes, French star Eric Cantona that once invented the word ‘water-carrier’ about his team mate and present French national team coach Didier Dechamps. It was naturally said at the time as an arrogant sort of ‘insult’, pointing out that Dechamp wasn’t a quality football player like some other players, but only a guy there to carry the water bottles for the real star players. Now we know that there have been very few successful teams without a really good ‘water-carrier’. 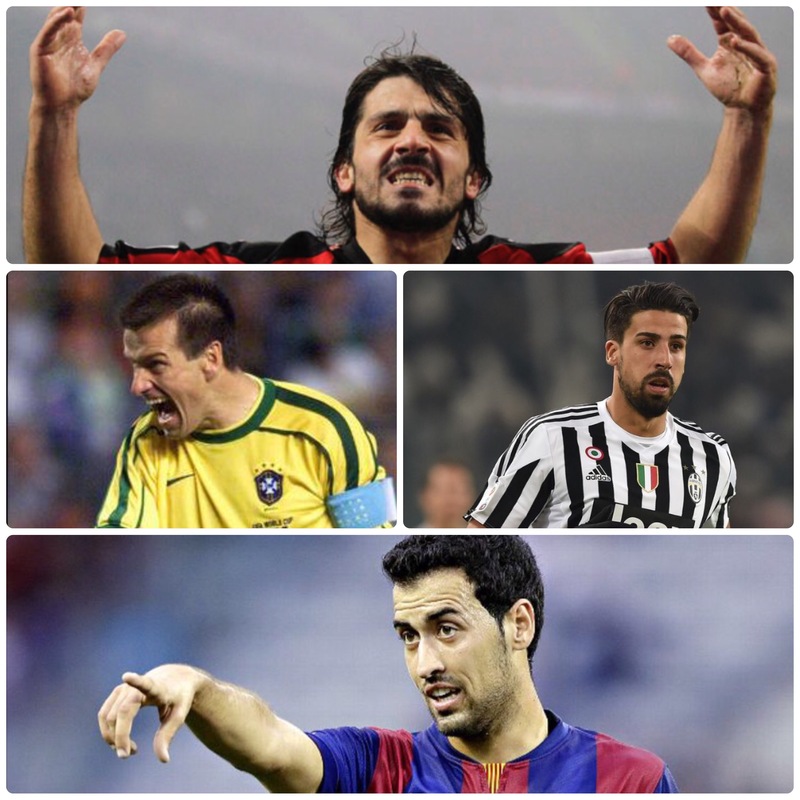 The last years we have seen fantastic defensive midfielders in great teams like Gennaro Gattuso in Italy, Dunga in Brazil, Sami Khedira in Germany and Sergio Busquets of Spain. I think that the best defiensive midfielder in the EuroCup2016 has been Paul Pogba of France. 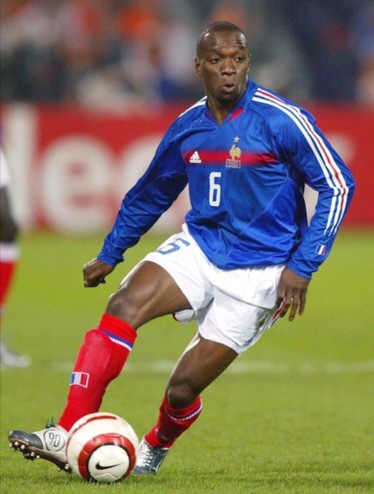 The best defiensive midfielder is probably another French player, Claude Makalele – who did 71 caps for France and was a fundamental player for Real Madrid, Chelsea and Paris Saint-Germain. I loved to see Makalele play. Maybe I was the Makalele of my old football team, but mostly since I always considered myself as a team player. I have always believed that the team is bigger than the individual, in sports, at work and in life. So this is also how I have managed in my professional life. I will continue to do so alsonin the future. So who will win the final tonight? I think that France wins 1-0 or 2-1. Griezmann will score the final goal. This is his tournament. 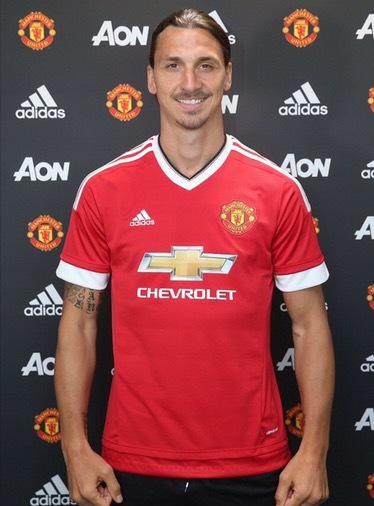 Zlatan Ibrahimovic has signed ror Manchester United. Ibra is known for his winning mentality, that is what United new manager Jose Mourinho is looking for. Mourinho and Ibra are old mates. They camped together in Inter Milan, where Ibrahimovic lead a club without tiles for 50 years to 3 league titles in a row. 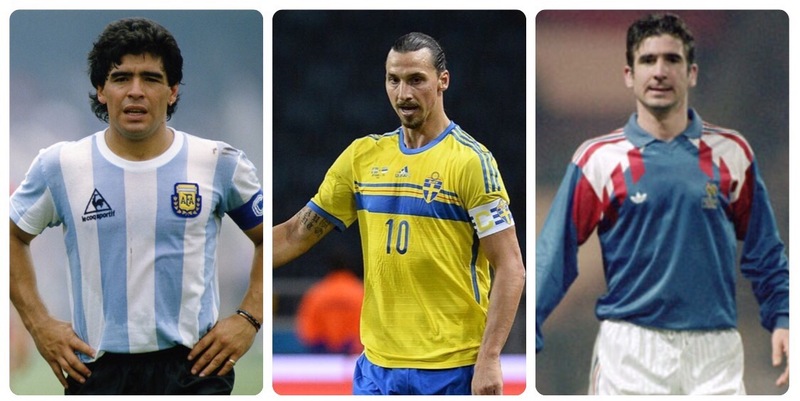 Zlatan has 13 league titles in 14 seasons as professional player. I am convinced that Ibrahimovic will be the big star also of Manchester United and Premiere League this season. He will win the title for Manchester United and become top goal scorer of PL breaking new records. Like he has been doing in Netherlands, Italy and France. In Spain he scored 21 goals in 17 games after scoring the first five games of the season for Barcelona as the first player ever in the league. When leaving Paris Saint-Germain after four years and four league titles in a row, he said: ‘I came as a king and left as a legend’.